Eric Boursaw serves as our General Superintendent and is a member of the Executive Management Team. He may also serve in the superintendent role on our largest and most complex projects. He is responsible for monitoring and managing all assigned Superintendents. When he is assigned in a Superintendent role, he is responsible for all execution of physical work on his assigned project. These responsibilities include, but are not limited to, direction of Semper Tek, Inc. field staff, direction and coordination of subcontractors, adherence to schedule, quality control, safety, adherence to contract plans and specifications. Eric has more than 20 years of experience in the construction industry, with an emphasis in the healthcare sector. He has a BS in Construction Management and an AAS in Building Construction Technology. 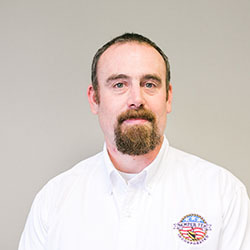 Eric joined Semper Tek in 2015.